Our wide range of real estate services is aimed at making life easier for the owner of the property, making a market study to guide you on the most appropriate price for your home, finding the most appropriate tenant, who is solvent and who justifies sufficient income to pay the rent and taking care of the administrative management as well as the management of incidents and maintenance. We want as much as you, that your property is maintained. You always have the last word: fixing the rent, acceptance of tenants, prior approval of each budget, etc. Discover everything we can offer you! All our real estate services are designed so that you do not have to take care of anything, from the delivery of keys, we will only keep you informed and you will only have, if you want, to accept the profiles that we send you and the possible budgets if there is any breakdown. Each time a property is to be placed on the market, at MADRID ALQUILA we carry out a benchmarking process to accurately determine the best price at the time. Thus, we can quickly obtain the highest possible rent. Ongoing assistance to the owner. Engaging with the tenant on behalf of the landlord. Complaint, incident and problem solving service. Submitting quotes to the landlord for approval. Insurance claims management and follow-up. Reports for the property owner. Monitoring the contract administration diary. Official payment of the deposit. Change of the ownership and billing of utilities. 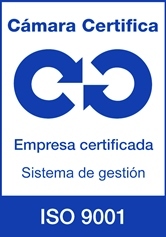 Management of the collection of utility costs, fees and other payments. Management of deposits, guarantees or cash deposits. Payment of authorised expenses (maintenance, repairs, etc). Administrative management of all financial activities. Monthly deposits of the rent to the property owner’s bank account. Monthly reports for the property owner with receipts and invoices. Visits to the property (unlimited). Assessment of candidates’ creditworthiness and profile. Default and home insurance proposal. Drafting of contracts and advising the landlord. Moving-in and key handover protocol. Execution of contracts and attendance to the signing thereof. Report to the owner and document submittal.